With its tropical climate, Miami is a popular tourist destination throughout the year. Summer time is when schools have breaks so there can be many visitors at this time of the year. The heat and humidity are quite high and can be uncomfortable for many visitors. Winter time is another very busy time in Miami. Many visitors from cold northern states and international visitors flock to Miami to escape the cold. The best time to visit Miami is during the spring months between March and May. The temperatures are very comfortable and the city is far less crowded. Room rates are also affordable during these months. January is the coldest and driest month of the year in Miami. The average high temperature peaks at 76°F (25°C) while the average low temperature comes in at 60°F (16°C). Meanwhile, the precipitation average sits at just a little under 2 inches (41 mm). In February, both average high and average low temperatures increase by two degrees to 78°F (26°C) and 62°F (17°C) respectively. This is a great time to enjoy the culture of Florida as numerous festivals take place during this relatively cool time of the year. Miami Weather in March: A warm spring season arrives in Miami in March with average high temperatures reaching 80°F (27°C). Low temperature is 65°F (18°C). April sees a further increase in temperatures. The average high and average low temperatures range between 83°F (28°C) and 68°F (20°C). In May, the sun shines brightly in Miami and rakes in the largest amount of sunshine out of the year at 280 hours. In relation, the average high temperature increases to 87°F (31°C) while the low temperature average hits 73°F (23°C). 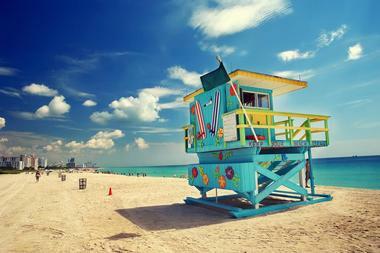 June marks the arrival of summer in Miami with the average high temperature increasing a few degrees to 89°F (32°C). Likewise, the average low temperature increases to 76°F (24°C). In July, Miami sees one of its hottest months with high temperature averages hitting an annual high of 91°F (33°C). The same can be said for the average low temperatures which measure 77°F (25°C). Miami Weather in August: The temperatures remain exactly the same in August thus tying it with July as one of the hottest months in the year. This is peak season for beach goers in Miami as one of Florida’s top destinations. September brings the highest precipitation average to Miami with an average of 10 inches (250 mm). The rain brings a welcome decrease from the heat of summer as the average high temperature goes down a few degrees to 89°F (32°C). In October the temperatures decrease further with the average high and average low temperatures ranging between 86°F (30°C) and 74°F (23°C). November is the last of the fall months in Miami and temperatures continue to cool. The average high temperature to be expected is 82°F (28°C). Low temperature average will drop to 68°F (20°C). Miami Weather in December: Miami gets 209 hours of sunshine in December, the least amount of sunshine in the whole year. Temperatures decrease to match this month as the average high temperature rests at 78°F (26°C) and the average low temperature peaks at 63°F (17°C). The best time to visit Florida’s gorgeous beaches is between the months of March and May when temperatures are nice and warm and the sun shines bright. For a cultural experience in Florida, come during the winter months of December through February when Art Basel and Art Deco weekends come to the state and food and wine festivals begin. Looking to go clubbing Florida? The best time to come is in November or December. Many visitors arrive in Miami by airplane. 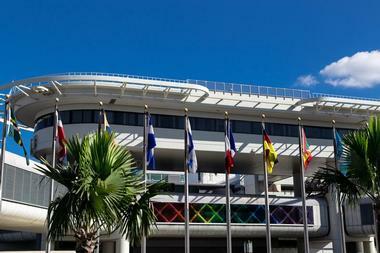 The Miami International Airport is one of the busiest airports in the United States for international arrivals. Many domestic and international airlines fly in and out of this airport. For train lovers, Amtrak runs its Silver Service trains along the east coast to Miami’s Station Building located on NW 37th Avenue. Greyhound provides bus service to Miami from many cities across the nation. The Miami Bus Station is located on NW 27th Street. Car rentals in Miami are less expensive than in many other cities in the U.S. There are four expressways: I-95, Florida’s turnpike, and state highways 836 and 826. The Miami International Airport is located just six miles from downtown and ten miles from the beaches. There are many car rental agencies available at the Rental Car Center. The official airport shuttle is SuperShuttle: there are kiosks located in the arrivals area of the airport. This is a shared-ride form of transportation that operates 24 hours a day, seven days a week. The Miami-Dade Transit’s Airport Flyer is an express bus from the airport to Miami Beach. There are many taxis waiting outside of the baggage claim area. The airport is served by the Metrorail system that visitors can use to get into the city. There are many cruise ships that arrive at the Port of Miami. 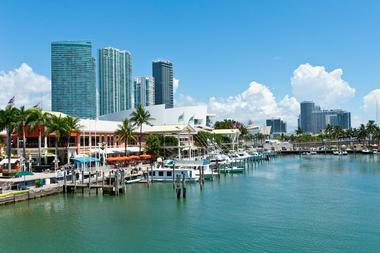 Passengers are often given the opportunity to explore Miami. There are several ways to get from the port to downtown Miami. If you have a reservation at a hotel in Miami, ask if they provide a shuttle from the port to your hotel. Some car rental agencies also offer courtesy shuttle services from the port. The Port of Miami Shuttle Service transports cruise line passengers from the port to most other forms of ground transportation in Miami. 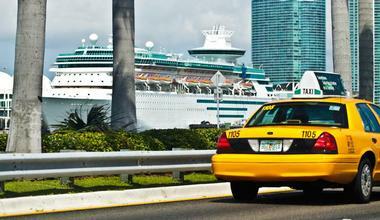 Taxis are available at all of the cruise terminals at the port: fares will depend on where your destination is. One of the first stops when you arrive in Miami should be one of the many visitor information centers. The main source of information about visiting the city is the Greater Miami Convention and Visitors Bureau (GMCVB) Visitor Center located on Brickell Avenue in Miami’s business district: the staff offers help and guidance with things like accommodations, attractions, restaurants, shopping, and how to get around the city. It also provides brochures and maps. 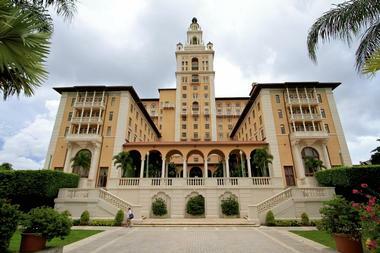 There are several other resources such as the Tourist Hospitality Center in the Miami Beach/Art Deco District, and the Dade Heritage Trust Tourism Information Center and Gallery in downtown Miami. The city of Miami is spread out over a large area. Using its excellent public transportation is one of the best ways to explore this large city. 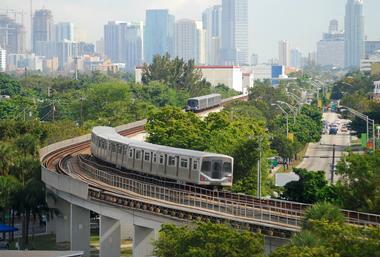 Miami’s public transportation system includes two above ground systems: the Metrorail and the Metromover. Metrorail has 22 miles of lines and 22 stations and runs from West Miami through downtown to South Miami. While there is a fee to ride on the Metrorail, riding on the Metromover is free. It consists of three major loops and is convenient for visitors to get around the city to see its attractions. There are more than 90 bus routes with 1,000 buses; and a free hop on hop off trolley system. Many people choose to rent a car to get from the airport into Miami, and then use the rented car to explore the city’s attractions. Many of the attractions and restaurants and shopping are far from one another. 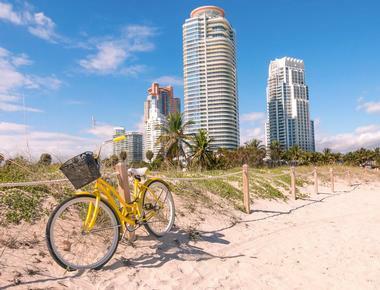 Some people see Miami by bicycle, especially in Miami Beach where there are boardwalks and hard packed sand along with the scenery. CityBike is a system where visitors can rent a bicycle at any of its stations. Several companies offer Segway tours of parts of the city such as Bike and Roll Miami. 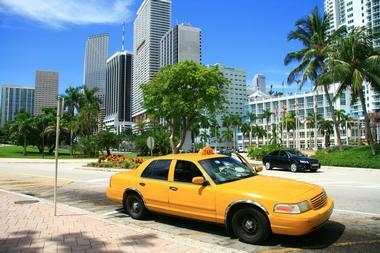 Using a taxi is another way to get around Miami especially if you’ve chosen not to rent a car. 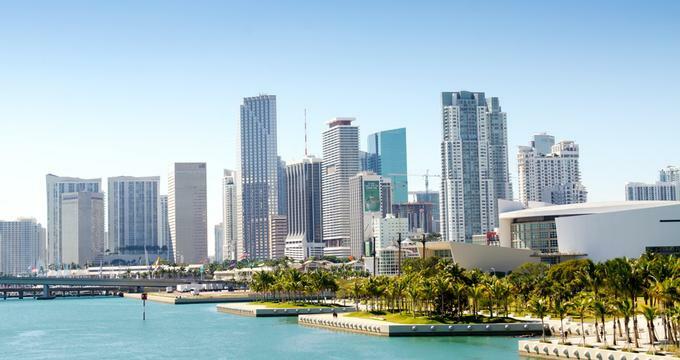 Miami is known as one of the best cities in the world for shopping. Visitors come from all over the world to buy American brands such as Nike, Levi’s, and more. When you need a break from the beach, head for some shopping venues. There are malls, outlet malls, little boutiques, art galleries, designer shops, and much more. Miami also boasts megamalls such as the Aventura Mall, the Village of Merrick Park, the Bal Harbour Shops, and the Bayside Marketplace. Biscayne Corridor is known for its unique little boutiques where visitors will find unusual gifts. Calle Ocho is an area known for its many Cuban shops and its lively street life. Miami is made up of many neighborhoods. Because each one has its own unique feel, visitors enjoy exploring them. Downtown Miami is the business district: it is full of glass skyscrapers but also offers several attractions such as HistoryMiami, the Perez Art Museum, and more. The Design District and Wynwood is full of art galleries, boutiques, clubs, and trendy restaurants. Little Havana is the district that looks like a reproduction of Cuba’s capital city. There are many Cuban immigrants here along with tasty Cuban food. Key Biscayne is a quite residential island with resorts and beaches; Coral Gables has a European ambience; and Coconut Grove, close to the University of Miami, is known for its nightlife. With its pleasant year-round climate and sparkling waters, Miami is a dream destination for visitors who want to have a weddings. A marriage license can be obtained at the Courthouse on Flagler Street in downtown Miami. 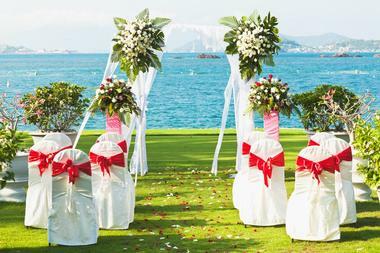 Some of the hotels and resorts that are good wedding venues include the Shelborne Wyndam Grand, the Pier House Resort and Spa, and the Cheeca Lodge and Spa. Other indoor locations are the Cruz Building Coconut Grove, the Reception Palace Ballrooms, and the La Jolla Ballroom. For visitors who want to have their weddings on the sea, there are several companies such as Lux Yacht Charters in Miami Beach. 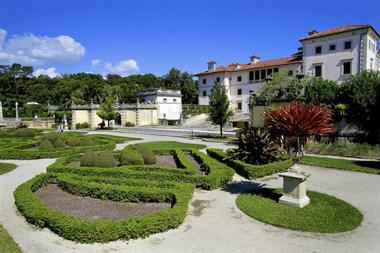 Miami is a large city so there are many choices of accommodations for tourists. 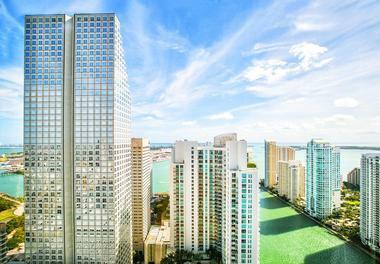 Miami has some of the most luxurious properties in the world. Some of these are the Mandarin Oriental Miami, the Ritz-Carlton Key Biscayne, the Four Seasons Hotel Miami, the Biltmore, and many more. 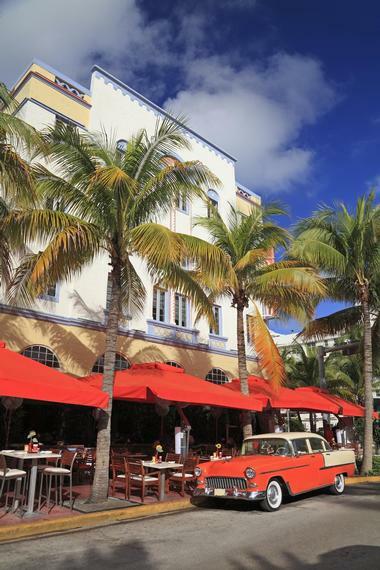 Miami also has more boutique hotels than any other city in the U.S. Many of these are found in South Beach’s Art Deco area. South Beach is popular because the beaches are within walking distance of hotels. Miami Beach offers beachfront properties with reasonable room rates. For a quiet stay, consider a hotel on Key Biscayne with its island atmosphere.